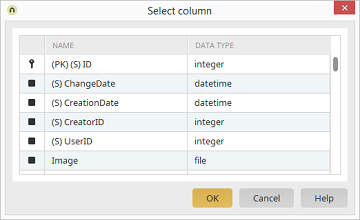 Displays the name of the data field. Here, the data type of the data fields are shown. Mark the field that you wish to include as a table column. Multiple fields can be selected by clicking on them while holding down the CTRL key.